HomeThe Cloud Identity SeriesCIS Wrapup: What Does Enabling ‘Next’ Entail? Another Cloud Identity Summit is in the books, and it confirmed its status as one of the premier conferences for all things identity management. Andre and the Ping Identity team did a great job as always, and Napa was a great location (though connectivity did become an issue). Most importantly, Mark and Pam did a great job curating the agenda, and it was cool to see that a lot of people came early so they could do both the workshops and the sessions. 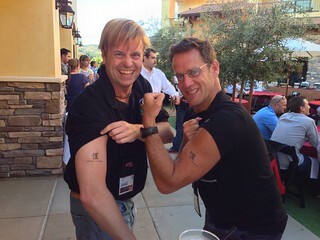 There was a lot of energy, and the usual selection of ‘T-Shirts by Paul’ were supplemented by some identity tattoos as well. 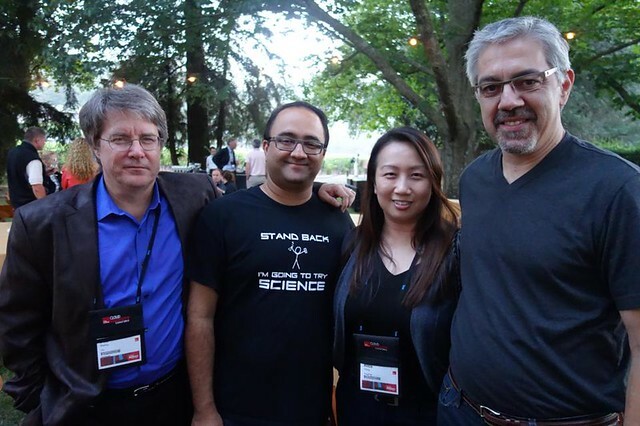 As expected, some of the most interesting discussions happened in the evenings over wine (we were in Napa after all). While I can’t talk openly about some of them, suffice to say there’s a lot of cool stuff coming down the pike. 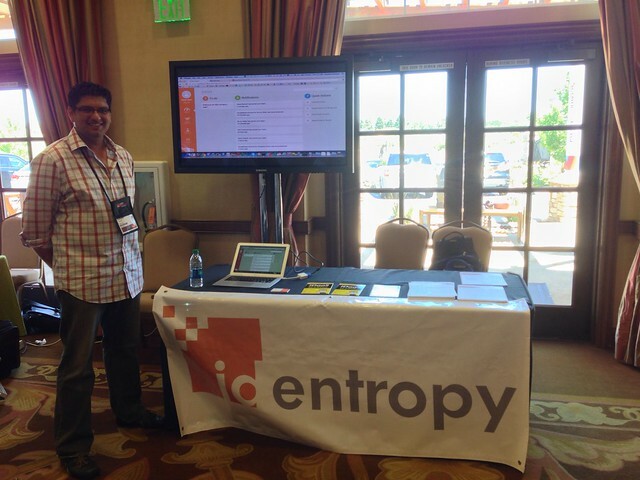 Of course, Identropy was there as a sponsor and to showcase SCUID Lifecycle at the show. The traffic at our table was pretty much non-stop, and we got really positive responses and feedback to all the work our team has put into making SCUID Lifecycle the premier IDaaS solution for anyone with an identity management problem. Ranjeet did a great job showing it off to everyone that came by. I’ll discuss my 2 talks in more detail in follow-up posts, when I will post the slidecasts of the talks [Update 7/26: You can find the posts here and here]. For now, I want to touch on the theme of the conference, which was “Identity – The Great Enabler of Next”. A number of the keynotes and sessions expanded on this by connecting identity in all its facets with the ongoing shift in IT. Mobility was a hot topic, of course. Talks covered a range of issues, from how identity would enable the generation of knowledge workers for whom mobile devices are their first and primary way of interacting with IT services, to the needs of first responders working in the field. I was sort of glad to hear that the M*Ms (MDM, MIM, MAM) is essentially merging into a single area called EMM (or MEM), since it is the only logical way for customers and users to deal with all the complexity inherent to the BYOD era. Being the “Cloud” Identity Summit, there were a number of sessions that intersected identity and cloud, from my talk on IDaaS to sessions about Identity Bridges, and workshops by platform vendors like Salesforce and Google on the efforts they are making to bake identity into their platforms. I was glad to see a whole track devoted to Privileged Identities in Cloud apps/platforms, an often overlooked topic. There were a number of sessions and workshops about Standards, of course. Various vendors participated in a few interops which went well, but the fact that we’re still doing interops reminds us that there still isn’t much in the field yet (a point I made in my Hitchhikers talk). CIS was also my introduction to the Authorization Agent (AZA) Mobile Protocol, an interesting development that could really help solve the SSO problem on mobile devices (don’t hold the fact that it seems to be Paul’s brainchild against it though). There were a few mind-bending sessions by the Identirati. Gunnar challenged us to consider that ‘Identity is the new Currency‘. Eve had a thought-provoking session on ‘Identity Trends and Transients’ which presented everyone with new frames of reference to think about using identity. And Stephen Wilson is adding to the deadpool by saying “Identity Providers are Dead”, suggesting a move to an architecture consisting solely of Relying Parties and Attribute Providers. While there is a lot of truth in the assertions he is making (pun intended), he and I are continuing a lively debate on Twitter regarding the architectural necessity of IdPs in a scalable online identity model. And I’m extremely sad that I had to miss Bob Blakley’s closing “talk”, because by all accounts it was spectacular (Update [7/18/2013]: It was. Here’s the link to his slides, which he presented without speaking a word. So you’ll experience it exactly as his audience did). I’ll try and update this post with more links as more folks publish their slides. But you really had to be there. I don’t know where CIS is going to be next year, but plan on being there right now. There isn’t anything else like it.